Joseph “Joe” Jackson , the father and the manager of the Jackson family of entertainers, has died, TMZ reported Wednesday, June 27, 2018. The entertainment news website said Jackson had terminal pancreatic cancer, and a source told TMZ last week he was in end stages of his battle with it. 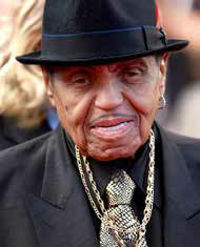 Jackson, who managed The Jackson 5, was 89 years old. A report in 2015 said Jackson suffered three heart attacks and a stroke after taking a birthday trip to Brazil. He also suffered a fall after being released from the hospital. Jackson leaves behind his estranged wife, Katherine Jackson, their eight surviving children, and a host of grandchildren. Funeral arrangements are pending.